In under 5 minutes a day, you and your team can keep track and up-to-date with all the little (and big) things in your business. If it’s not easy-to-use, your team won’t use it. 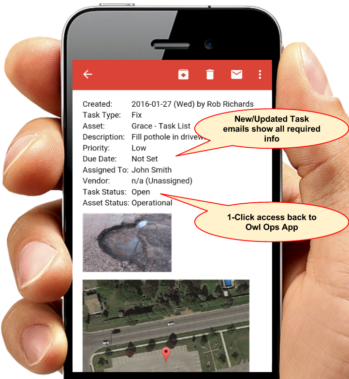 Creating tasks takes the same amount of time as sending a text or email with the added benefit of indelible history and accountability. 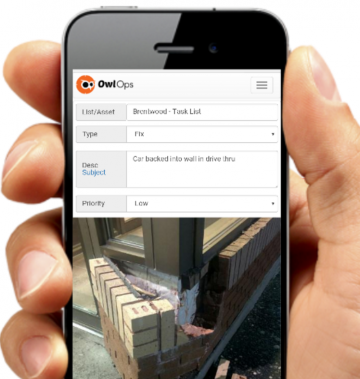 Owl Ops communicates how you want to be communicated with. You can receive (and reply!!) using SMS/email; keeping the right people in the loop and getting things solved faster than ever before. Things don’t get done unless someone is assigned to it. 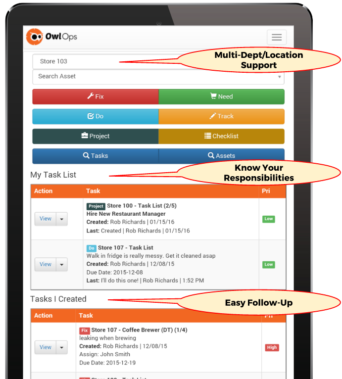 With Owl Ops, a task is created, assigned, communicated, and stays on that person’s task list until it’s completed; no more slipping through the cracks.